Is the Armiga shipped worldwide? Yes. We have shipped units to more than 25 countries. How fast is shipping and delivery time? Due to high demand, we are shipping The Armiga in 14-19 days from order. Delivery time is around 5-9 days. Shipping costs include packaging, handling and International Express Mail. Does the Armiga boots Amiga floppy disks? The Armiga doesn’t boot from disks, the Armiga reads your own Amiga disks and transform them in an ADF file, as long as they are not copy protected. These .adf images are stored in the sd card and can be executed from Armiga OS. Can I add an USB harddisk and mount it as an amiga harddisk? USB drives are not mounted on the ArmigaOS, thus are not accesible by the Amiga software. They are accesible through our Armiga menu for ADF browsing. We recommend to use a powered USB in case of connecting an USB HDD. Flash USB drives can be connected directly to the ARMIGA. SUBSONIC PRO CONTROLLER WIRED. This gamepad works very well. The only trick is to use digital buttons while in the Armiga Menu. 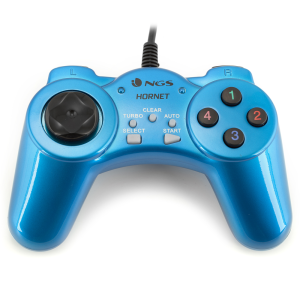 NGS HORNET. This works well but has not analog controls. 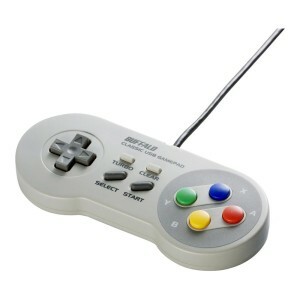 SNES Retro USB Super For Nintendo Controller. The pad has not a great quality but it does the work. 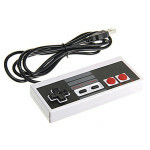 NES-alike USB gamepad. Compact and with a great retro look; gets the work done. 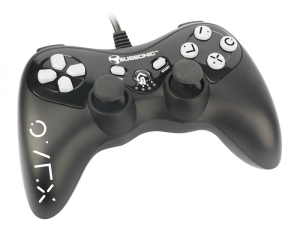 GXT 545 WIRELESS GAMEPAD. 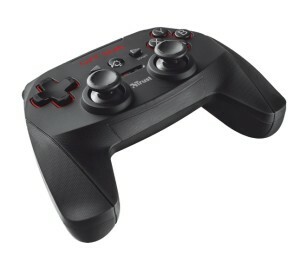 This gamepad works well in analog and digital mode within games. Direct input mode (D) has to be activated. We are in conversations with different developers and publisher in order to build a comprehensive database of games and links. Why isn´t there an original Amiga joystick port? The Armiga is not intended for original Amiga hardware compatibility, but bringing the Amiga experience to your living room using zero-configuration effort and new standard technologies like HDMI and USB. However, original Amiga-to-USB adapters can be found on the market. Does it have AGA support? Does Armiga support KS 3.1? Armiga is shipped with KS 1.3 & 3.1 licenses. Can I plug and use an external FDD? 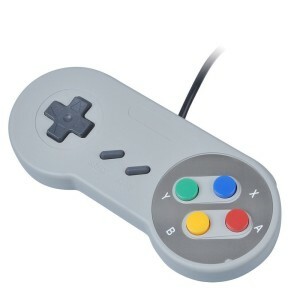 Is the floppy controller sold separately? Can Armiga dump original disks? Only those which are not copy protected. ADF format is inherently incompatible with the copy protection systems most used in the Amiga, so if your disk is copy protected with one of these methods, the ADF will not be usable. Can I use my .adf games with The ARMIGA? Of course. The ARMIGA is compatible with the .adf format. Are 2 USB ports enough? Yes. You can connect an USB hub. We recommend to use a powered USB hub. So you can connect a mouse, a keyboard and gamepads. We also include a virtual mouse and keyboard to skip mouse button clicks and key inputs. So you can play to almost every game by using only one gamepad. Is the power supply US, AUS and UK compatible? Yes. It is 100-240V 50/60Hz. AU clients something like this. US clients something like this.